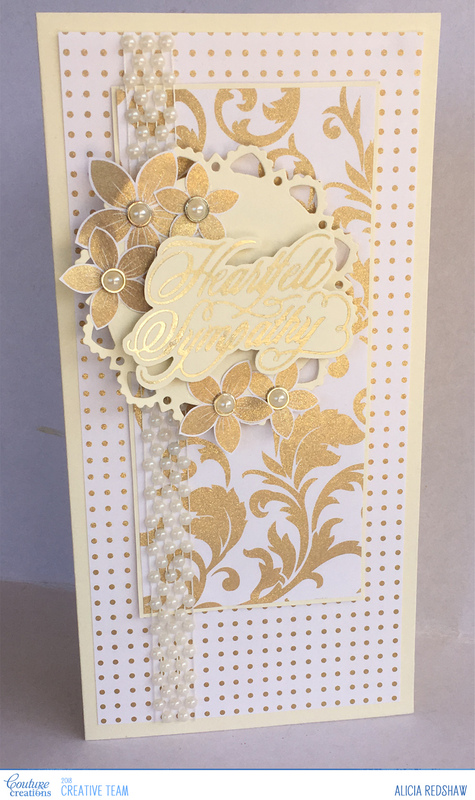 Hi and welcome to my post today which is a Sympathy I have created using the recently released Special Occasions collection. 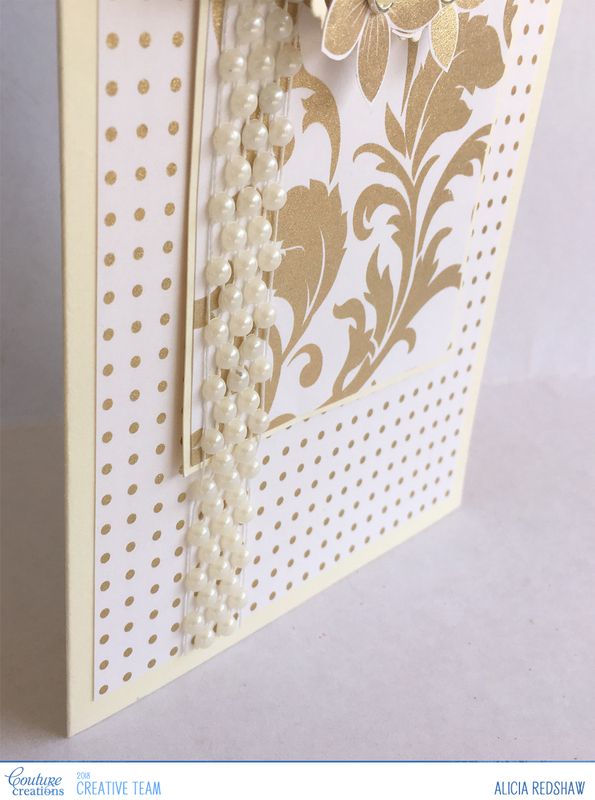 I fussy cut the flowers from one of the papers before adding the decorative pearls to the centers and applying glue dots to the back so that they were ready to add to the card at the end. 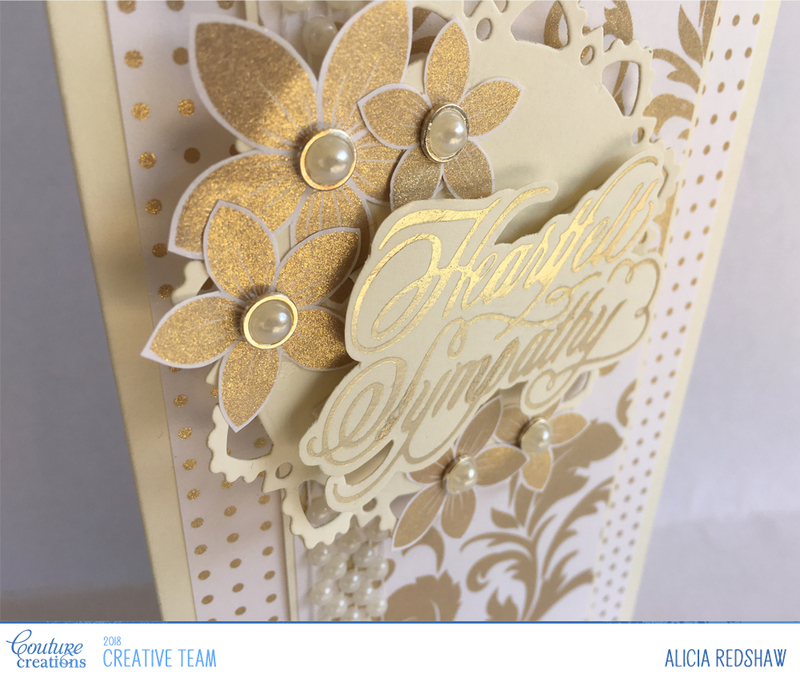 One of my favourite Hot Foiling techniques is to fussy-cut the Hot Foiled Sentiment and then raise it on foam tape. 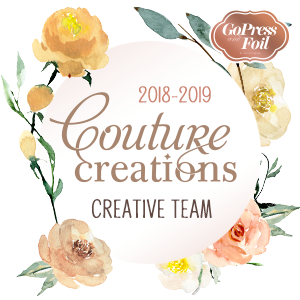 The fussy-cutting doesn’t have to be perfect, just a consistent width over the majority of the design. I found that the Pearlised Lace needed to be cut at the ends (not wrapped to the back) and stuck with a dot of dimensional magic behind each pearl, otherwise it moved and looked messy. 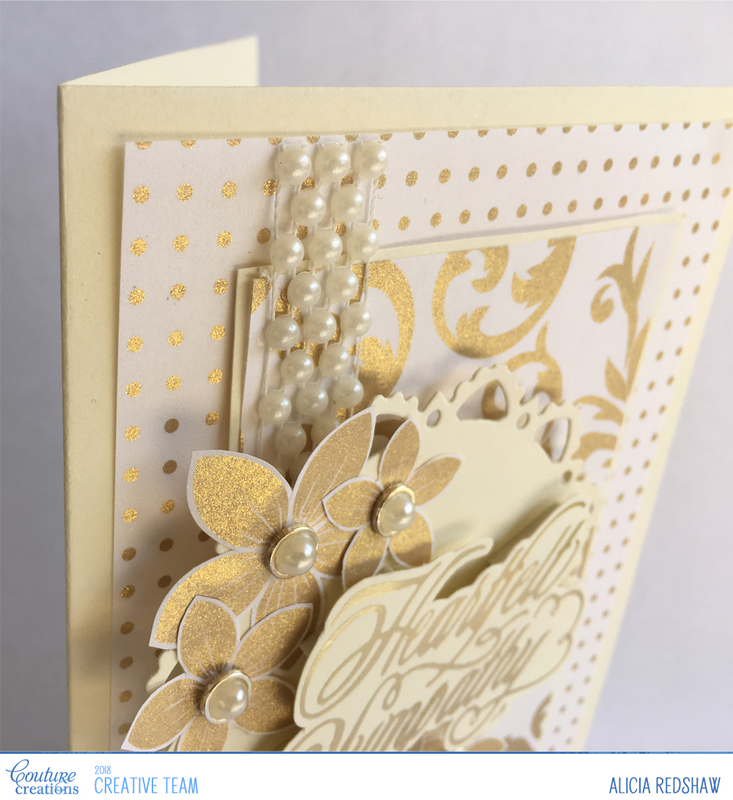 The patterned papers in this collection are light weight allowing for additional layers on a card without adding excessive weight – which can lead to cards falling forward if your not careful.